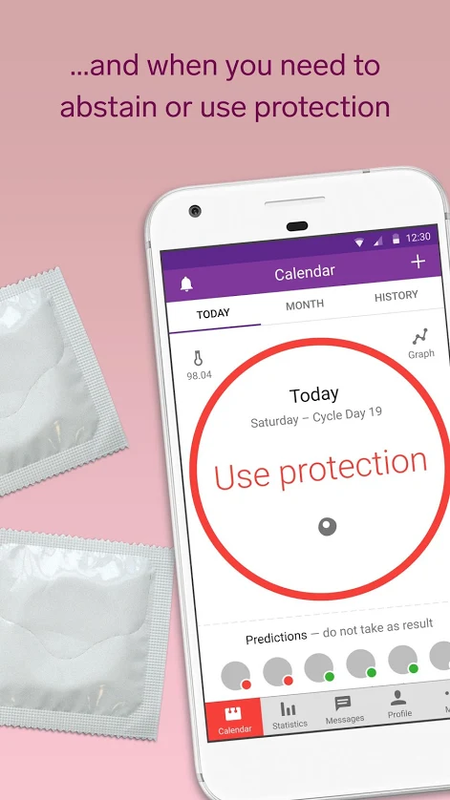 While there are plenty of rhythm method contraception apps out there, the FDA has finally approved an app-based contraceptive program called Natural Cycles with a typical use failure rate of 6.5% and a perfect use of 1.8% over an average of eight months. The sample size was 15,570. While that sounds pretty high, the Rhythm Method’s numbers were 25% typical use failure rate and 10% perfect use (or cutting those to eight month timeframes, 16.5% and 6.6%,) and condom use had typical use failure rates are 15% with a perfect use failure rate of about 2%. So if I mathed correctly, a slightly reduced chance of pregnancy over condoms, or a significantly reduced chance of pregnancy when used with additional methods of birth control. The app requires the use of a basal thermometer, doesn’t protect against STDs, and carries no guarantees. You can read plenty of people saying “you know what they call people who use this app? Parents.” in the reviews of the Natural Cycles app along with a series of recommendations for free apps that do not take into effect basal temperature. Those people are hilarious. We’ve never heard that joke before. Slaps knee. The Natural Cycles app is a paid service, appears extremely overpriced coming in at $80 a year or $10 a month considering there’s literally no backend cost to the company any more other than to keep their web server up to accept payment. Then again, I guess you go all the way and get FDA approval you want to make as much money as is possible.